Samsung’s efforts to make a phone with a foldable display, often referred to as the Galaxy X, are no longer a secret. It is no more limited to the rumor mills on the internet as the company has started officially commenting on the project at various forums. Recently, the CEO of Samsung’s mobile division, DJ Koh, confirmed its existence at a press event at the World Mobile Congress, even though he refused to offer any launch time frame. 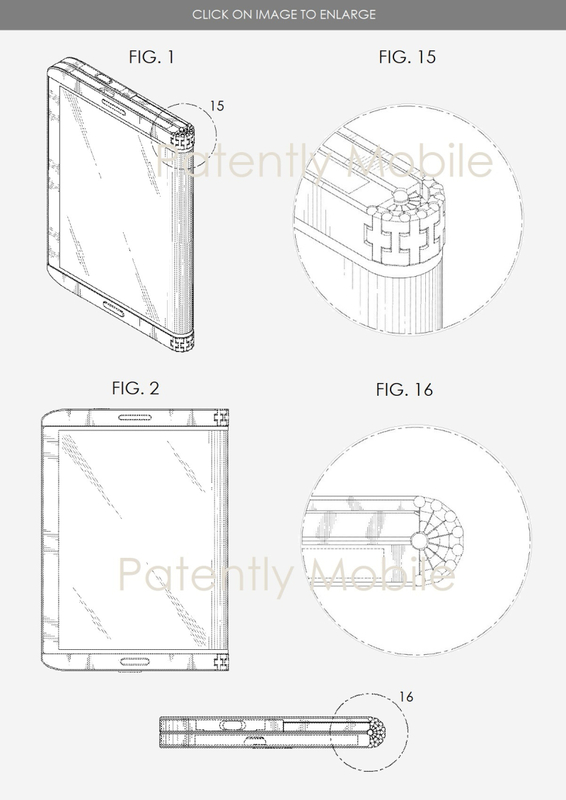 Until the launch of the foldable smartphone draws close, and credible leaks start emerging, patents filed by Samsung are our best source to get an idea of the mysterious device. While these patents may not be the final confirmation, they help us peek into the ideas explored by the company. Samsung has filed many foldable display related patents in the past, some of which we have covered as well. Patently Mobile has discovered and reported on some new design patents awarded to Samsung by the United States Patent and Trademark Office (USPTO). Design patents don’t reveal any technology, specifications or materials, leaving us with only diagrams depicting the patented design. The most interesting design patent among these is a ‘foldout’ smartphone, similar to the recently launched ZTE Axon M. The biggest difference is that unlike the ZTE phone, which uses two separate displays for its foldout design, Samsung’s patent shows one large foldable display. Next, we have a design patent for a smartphone without any physical buttons or ports. While such a design will result in a blemishless look, only time will tell how practical it is. 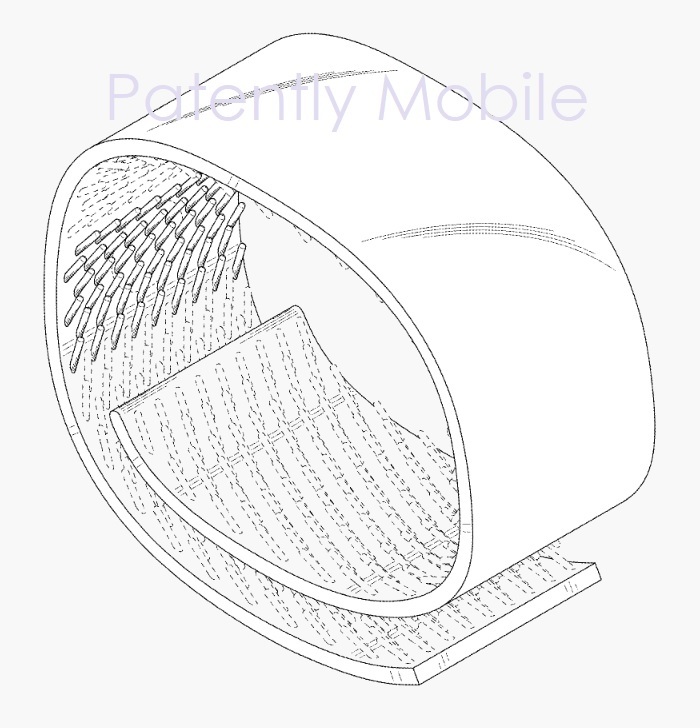 Samsung has also been awarded a design patent for a “Wearable Electronic Device” made out of a wraparound display. This design blurs the line between a smartphone and a smartwatch. There is no guarantee that any of these patents will turn into real products. Companies file patents and trademarks for many things which never make it to the market, so don’t put too much hope into any of these. You can head over to Patently Mobile to have a look at more of these diagrams. The original diagrams are easily available from the USPTO website. We still went ahead with the watermarked images from the Patently Mobile article to give credit to them for their work.